Distinguishing features: extremely sweet! It is no coincidence that Freddi decided to produce and distribute two antique Italian varieties of copper-skinned onion such as the “Roccabruna”, originally from Central Italy and cultivated in all the Countries around the Mediterranean, and the “Ramata di Milano” variety, which distinctly originated in Lombardy: the organoleptic profile of both is well-balanced and rich, making them perfect both for baking and for serving raw in salads. The Roccabruna copper-skinned onion is an antique variety typical of the Campania region and has a distinctly sweet taste. From its area of origin, in the past decades it has also reached fine growing areas in North Italy, such as Piedmont and, naturally, Emilia, where it acquires special characteristics thanks to the limey soil in the area. How is it distinguished? The copper colour with pink hues and its flattish shape, making it resemble a spinning top, make the Roccabruna onion immediately recognisable! As its name suggests, the “Ramata di Milano” variety originated in Lombardy. It also has an unmistakable appearance: it is pyramid in shape and has a fine copper-coloured skin. Its bulb is typically elongated and its flesh is white and fragrant, sweet and delicately pungent. It is harvested in summer and is reasonably easy to store until April the following year: this variety can in fact be stored for an extraordinarily long period making it, together with its superb taste, one of the best types of onion for consumption in winter. What are the best ways to cook copper-skinned onions? Thanks to its “sweet” nature, it never interferes with other tastes and is suitable for eating raw, making it perfect for salads. These varieties are also suitable for baking and serving with hearty dishes of meat or fish, or simply as a vegetarian appetiser. The Roccabruna is also particularly suitable for pizza toppings and for the preparation of conserves. 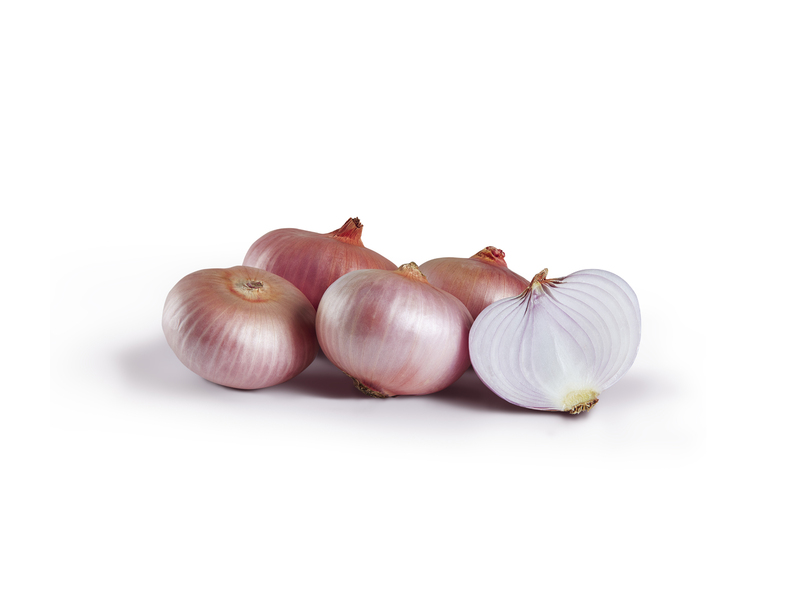 From a nutritional viewpoint, copper-skinned onions are rich in vitamins B and C and in mineral salts, such as calcium, iron, potassium and sodium. They contain bacterial, antiseptic, diuretic and hypoglycaemic properties, making them a real cure-all for our health.